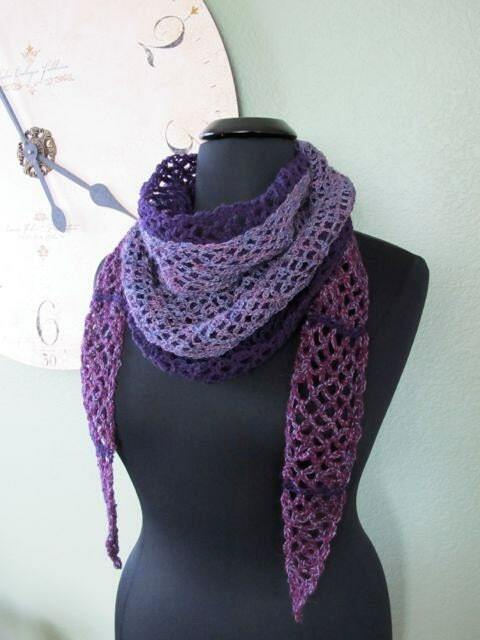 This airy, yet cozy scarf is made up of two, lacy layers. The shape is a long narrow triangle and the pattern is worked lengthwise, from end to end. It begins by carrying two of the colors together with the third color being used as accent stripes. After the third stripe, the layers begin. The middle portion of the pattern is worked twice, once with each color. Then, as the scarf decreases toward the opposite end, the layers are joined together by a stripe and the pattern is completed just as it began. The pattern comes with helpful photographs and a diagram showing how the pattern begins. Small variations in gauge will not adversely affect the finished piece, however it is important to use the suggested yarns or yarns of the same weight. 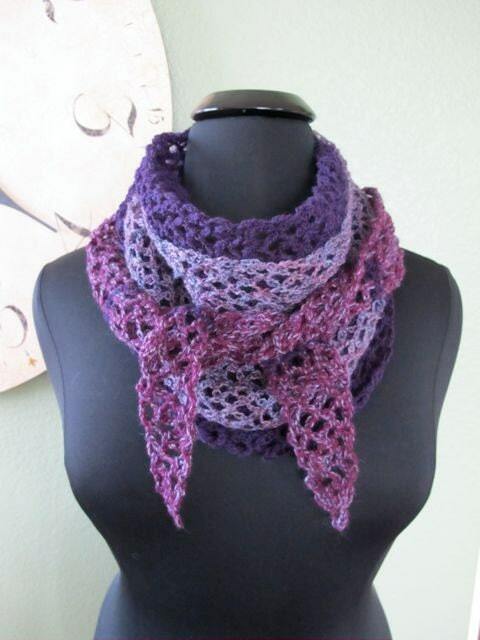 This purchase is for the Layers of Lace Wrap Around Scarf pattern only. It does not come with the scarf pictured here. 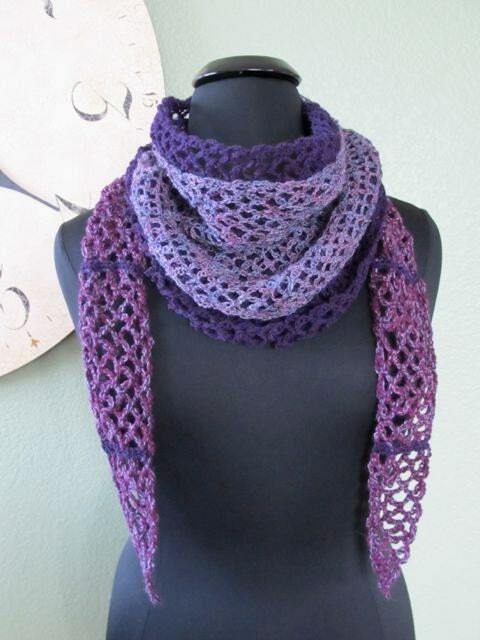 I hope you enjoy making the Layers of Lace Wrap Around Scarf!